There was “much to think about from this presentation” by Brandon Busteed, education director of Gallup. In the speech, he addresses business leaders about the future of education. Early in the speech he asked the listeners what they remember about their best teacher. According to people surveyed, teachers care about us. In addition, they know what makes each of their students tick, so they individualize for their students. They are also relational. These are the important things people think of when they think of the teachers that made a difference to them. He says we neutralize the best teachers because we continually take away their ability and time to care, individualize, and relate. We ask teachers to meet different objectives — those measured by standardized tests, rather than care, individualization and relationships. The future of education is not about knowledge. We can’t compete on knowledge. “The cost of knowledge is trending toward free,” Busteed said. For instance, MIT’s courses are all available online for FREE. Though you can’t get a degree by taking them, you certainly have access to all the knowledge. If we want students to be successful, we don’t drive them toward success by working on standardized tests only. In fact, there is a negative correlation in the 30 or so countries that took both the GEM (Global Entrepreneurship Measure) and PISA (Program for International Standardized Assessment) tests. Schools with an over-emphasis on standardized tests neutralize entrepreneurial spirit. Many entrepreneurs and innovators drop out of school or college because of that — Mark Zuckerberg, John D. Rockefeller, Oprah Winfrey, Thomas Edison, Walt Disney, Bill Gates, Steve Jobs, Ellen DeGeneres, Ted Turner to name a few. According to Busteed, standardized tests can only account for one-third of the success of our students. Hope, he says, is actually a strategy when it comes to school success. We can help students have hope. Read more of Melina’s beautiful words on her blog post. In this age where knowledge is ubiquitous, and no longer belongs to the teacher to dispense during lessons, school needs to change. We need to inspire students to become lifelong learners. Genius hour can begin to do that. Brandon Busteed said every student should be able to say YES to these. 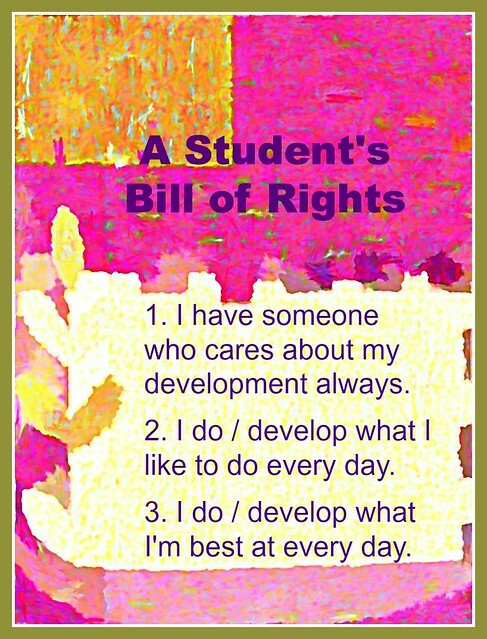 Would your students be able to say YES to those rights? Don’t we owe it to them to let them say YES? I love this. It’s been a rough teaching year for me in many ways, and a tough year to be a teacher in my district. Today I walked in and told my kids to find and create something that was personally meaningful to them, with no thought for how (or if) I would assess it later, and it was our best day in a long time. They would definitely feel that their Learners Rights were respected today. Thanks for reaffirming that I am on the right track, even if it is sometimes a lonely track. Today, I thought… I wonder what Denise is doing lately? So I checked your blog and discovered once again that you are ahead of times — or rather right into what should be happening in schools. We so need this voice to be heard — we are developing joyless institutions that care not for the humanity of the classroom, but only for the numbers of that classroom. And our students deserve more — they need more to build their lives with wellbeing in health and mind: life, liberty, and the pursuit of happiness. And that should be the goal of education. And that is Genius Hour ! Thanks for the post and links. Like Laura, I needed this boost today. Thank you so much for thinking of me and visiting. It is such a busy time of year. 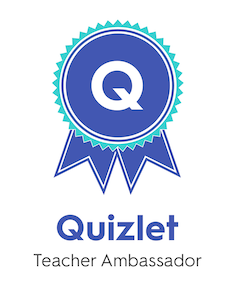 I have neglected great opportunities like etmooc for unpleasant tasks like grading, as well as some pleasant ones like Technology Student Association and a school-wide benefit for a dear family whose mother has cancer. Yes! I am so blessed to be in a community that does recognize the importance of the whole person. However, it is still not easy to fight the status quo, so I needed your boost today too. Thanks for leaving a comment. If we stand in the way of dreams and those who dream them what is the purpose not only of school but of life? Thanks for the motivation and giving me the desire to keep on pushing. This post is what it’s all about. You were able to state WHY we do what we’re trying to do with children. Sometimes I think the kids need to grow up, but they are still children, trying to find their way. I truly think Genius Hour will help them…by showing we care about them, we want to listen to them, and we think they are very important. Thanks for putting your thoughts so clearly in print for all of us! It amazes me to think there are so many teachers out there who think alike – that we need to be allowing our students to take learning in their own hands. 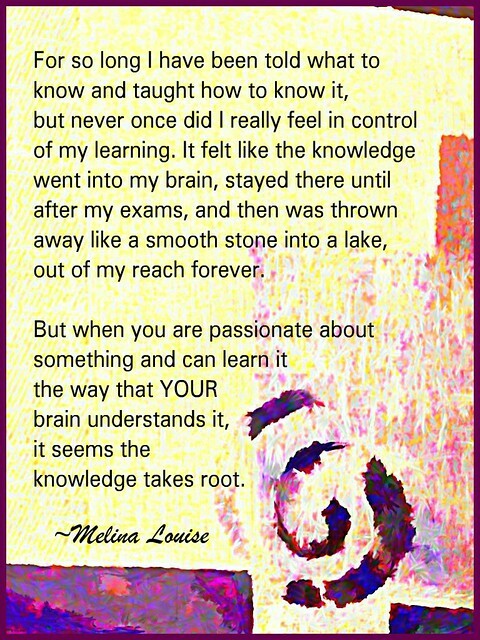 I totally agree with Melina Louise as I have witnessed firsthand how someone who was told “you’re not college material” be successful in business and life because they followed their passion and ‘learned what they needed to learn”. When I think of state testing it takes all I have inside not to scream and shout. Don’t get me wrong, I feel there are some benefits of state testing – However, education has taken this to the extreme. More and more I am reading how many folks think education needs a ‘change’. I feel Genius Hour is a step in this direction. JoAnn’s quote needs to be posted in classrooms as a reminder to us: “If we stand in the way of dreams and those who dream them what is the purpose not only of school but of life?” School should be a place where students can explore their dreams and where teachers can aid in the search! Hoping this makes sense as I dash off. Thank you for thoughts Denise. Your posts always make me think! I like it! I’ve read this post… four times. You hit the nail on the head, like you do very often in your posts. If anyone thinks this time we provide students to follow their passion is not valuable, they need to read this, see the students, and get on board. It’s not a trend. It’s not a fad. It’s the way learning SHOULD be. Thank you for putting it all into perspective once again for us! JoAnn, I’m happy you are able to have your students participate in that kind of learning, even though it’s not fully appreciated — YET! Nancy, so true about those who don’t seem college-bound, but find success in following their passion. I’m excited that there is change in the air. Joy, yes! This is the way learning should be, and thank you so much for reading my post and thinking about it. And thank you to all of you for challenging my thinking and inspiring my growth!